Ships tomorrow if you order in the next 24 hours 39 minutes. 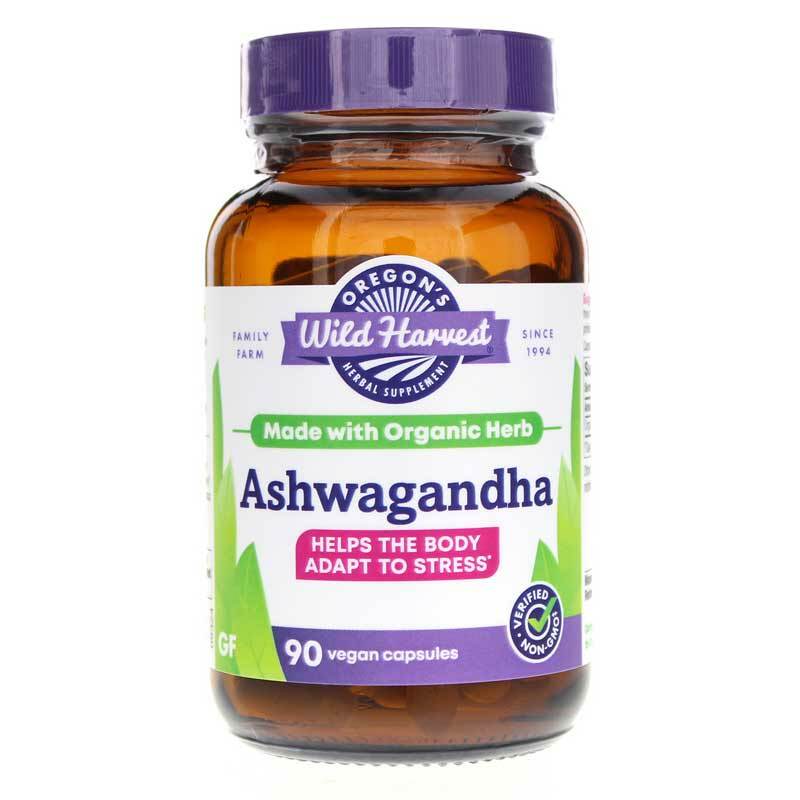 Ashwagandha from Oregon's Wild Harvest is made from an adaptogenic herb that is believed to offer relief from occasional stress and frustration that results from an environmental condition or challenge. Ashwagandha is sometimes referred to as "Indian Ginseng." Although botanically different, they are thought to offer similar health benefits. In Ayurvedic medicine, ashwagandha is used for a variety of health issues and to bring about physical, spiritual, and emotional harmony. In traditional medicine, this herb is thought to contain "adaptogens," which are mechanisms that may support a healthy stress and frustration response through the immune system. Stress and frustration are the result of the fight-or-flight response and the release of hormones that can trigger a psychological or physical reaction. This state cannot be maintained, and as a result, stress is often described as a negative condition that affects mental and physical well-being. 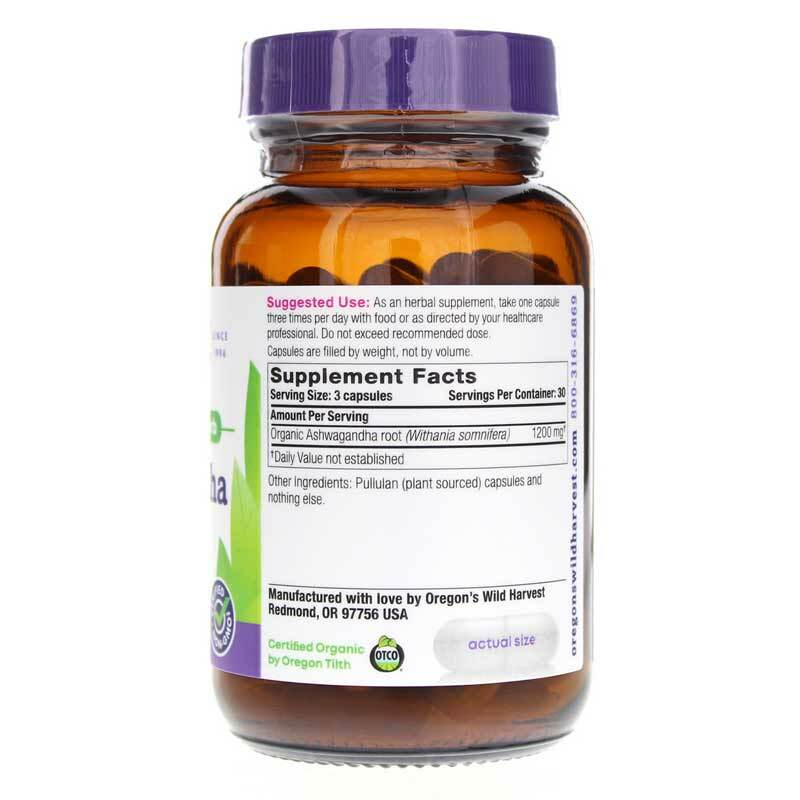 Adaptogens seek to support the normal release of hormones and the resulting reaction. Ashwagandha also contains alkaloids and metabolites that may support restfulness, healthy joints and wakefulness. Ashwagandha, along with its adaptogens, seeks to support the normal release of hormones and immune health for the relief of occasional stress and frustration. Experience it for yourself today! Contains NO: GMOs, dairy, wheat, gluten, peanuts, soy or corn allergens. 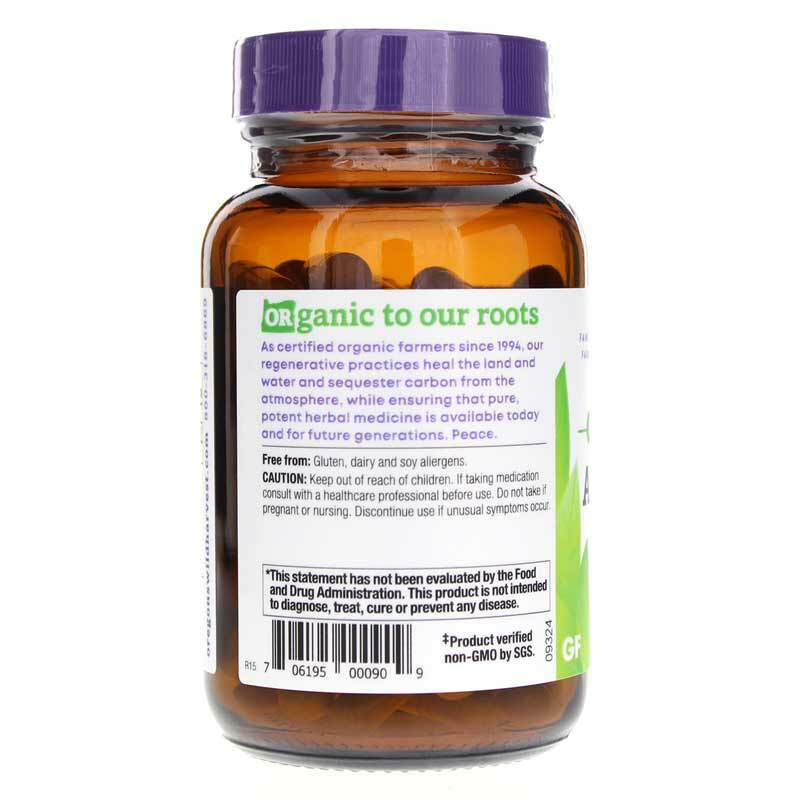 Adults: As an herbal supplement, take three capsules daily with food, or as directed by your health care professional. Do not exceed recommended dose. Do not use if pregnant or nursing. If taking medications, consult with a healthcare professional before use. Keep out of reach of children. Discontinue if unusual symptoms occur.